How often should your child have a dental check-up? Simple tips for good oral health for primary school children. If you are a teenager or young adult, you need to protect your mouth and teeth by maintaining good oral health. Maintain good dental health throughout adulthood by adopting good oral hygiene practices and a healthy diet. Our surgery is situated in the heart of the James Street shopping precinct. Sit back and relax in our large comfortable reception area and even enjoy a coffee. For the children and young at heart there is a special games room where you can be entertained by a playstation or arcade games. 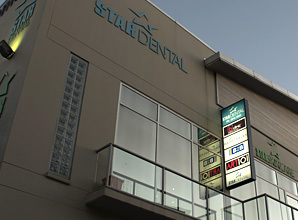 Eligible Veterans’ have no out-of-pocket charge (subject to annual limits) for dental treatment at Star Dental. The CDBS is a bulk billed financial support from Medicare for basic dental services for eligible children aged 2-17 of $1,000 over 2 consecutive calendar years.